In October of this year Red Hill Toyota and the Parkway Motor Group became the official vehicle sponsors of your Hamilton Bulldogs. “We’re excited about working with the Bulldogs for the next two years. They really are an amazing organization. Not only do you get to watch some great hockey but you experience a level of family entertainment in a professional sports venue that really is unparalleled in Hamilton. As a dealership that is family owned and operated this really aligns well with our personal and corporate values as well,” says General Manager Richard Bond. 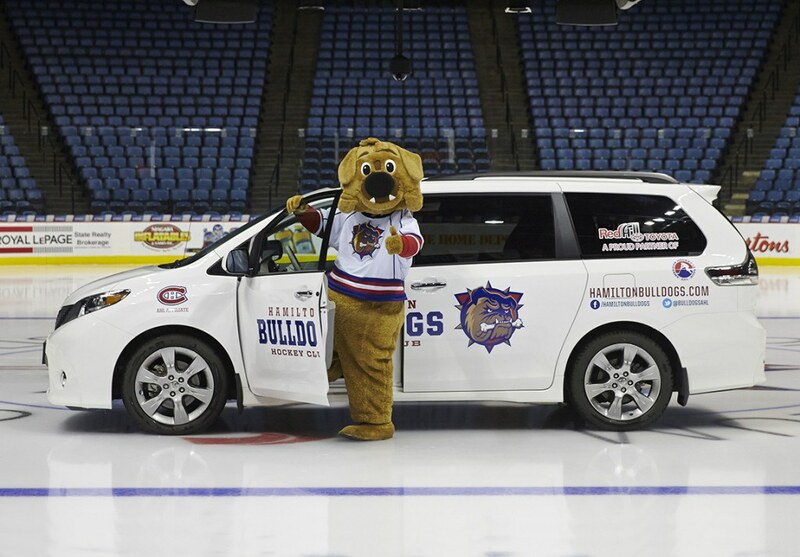 Keep an eye out in the community and at Copps Coliseum for the new Hamilton Bulldogs Community Cruiser, a 2013 Toyota Sienna, the official vehicle of Bruiser, the team mascot. “This sponsorship is a great opportunity for us as a team. 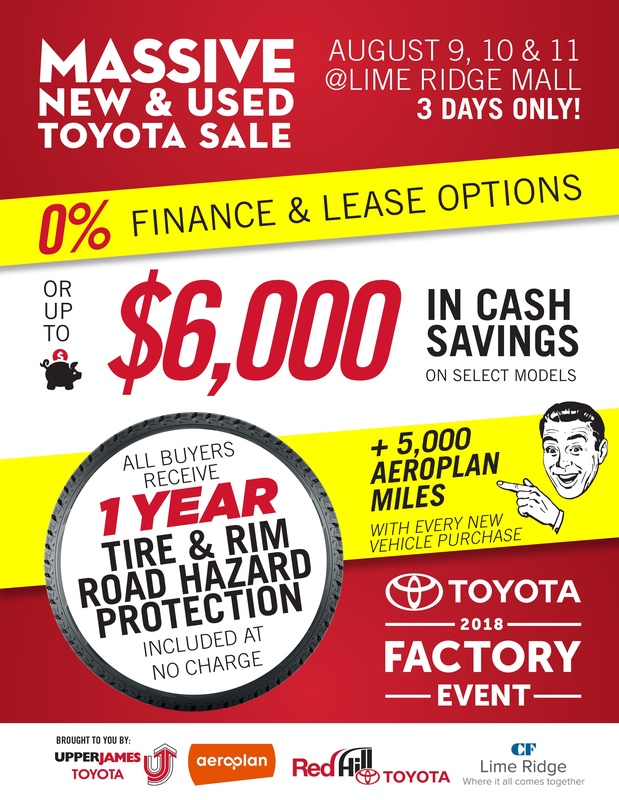 Having a strong, community oriented partner like Red Hill Toyota is a great fit with our organization and their vehicle sponsorship could not have come at a better time. The Sienna as a community cruiser is an incredibly spacious vehicle. It’s the perfect blend of capacity and comfort for what we do when we hit the broader community as a team,” says Marc Boria, Bulldogs Vice President of Communications. We look forward to seeing you on the ice or on the concourse as the Bulldogs make their way toward another Calder Cup.